Feeling the heat yet? #OpenPOWER is completely transparent and security hardened, switch to a vendor that doesn't hide critical flaws for decades with the #POWER9 #TalosII from @RaptorCompSys ! 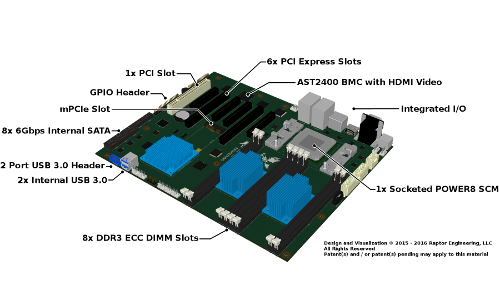 Want to learn more about #TALOSII and the #OpenPOWER #POWER9 technology driving it? Check our the rapidly growing Raptor Computing Systems Wiki at https://wiki.raptorcs.com ! Time to switch to #TalosII and #OpenPOWER ! We've run preliminary benchmarks on the performance of QEMU #OpenPOWER virtual machines -- check out the results at http://reng.io/i ! Let's make this machine a reality! Always glad to see more interest in #Talos and #OpenPOWER!